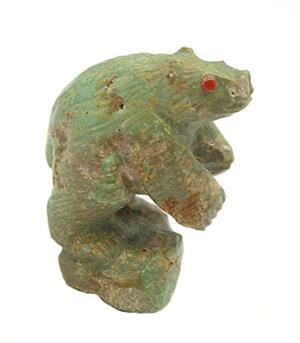 This bear is carved out of turquoise and has coral dot eyes. It measurses 1 1/2" tall, 1 1/8" wide and just under 1" thick. It is Zuni hand carved by Derrick Kaamasee. Only this one available.